Get a four piece stainless steel knife set. And a chopping board! Black chopping board measures approx. 29cm x 19.5cm. 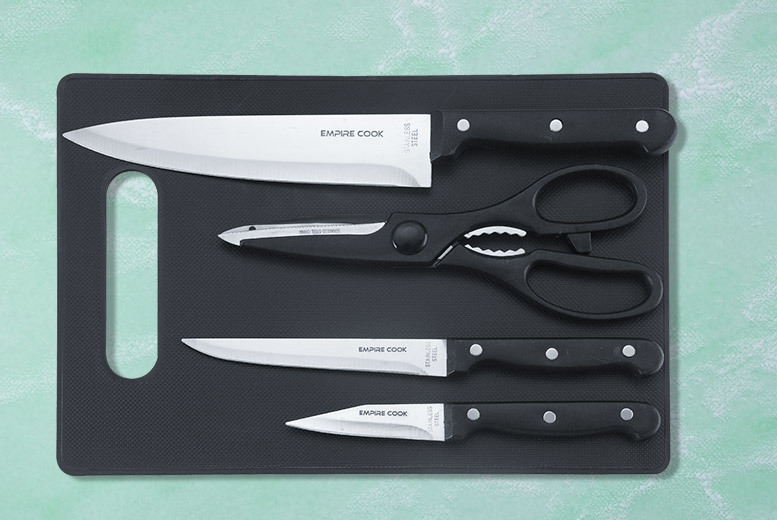 Includes a 7” chef knife, 5.5” utility knife, 3” paring knife and a pair of scissors! An essential gift for a new student!